Follow this link to the experimental online version of the Q’eqchi’ ~ English dictionary. To buy a print copy of the Q’eqchi’ ~ English thematic dictionary, click here. 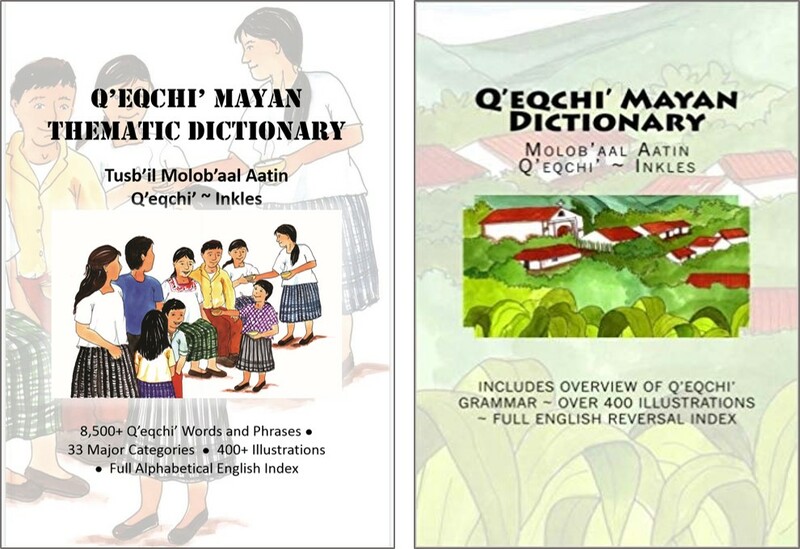 To buy a print copy of the Q’eqchi’ ~ English alphabetic dictionary, click here.